Greetings, Stampers! 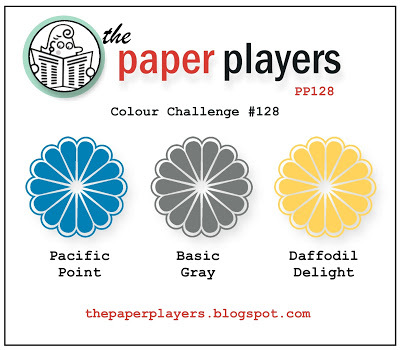 It's time to play along with another challenge from The Paper Players! This week we have a color challenge by Anne-Marie. As soon as I saw these colors, I thought they would be perfect for a birthday card for a little boy. My nephew's birthday is right around the corner and this card will be for him. I also knew which stamp set I would use right away, Moving Forward. The little sailboat looks perfect in these colors. I used all three challenge colors in Designer Paper from the Brights and Neutrals Stacks. The Large Scallop Edgelit was perfect for cutting the waves. 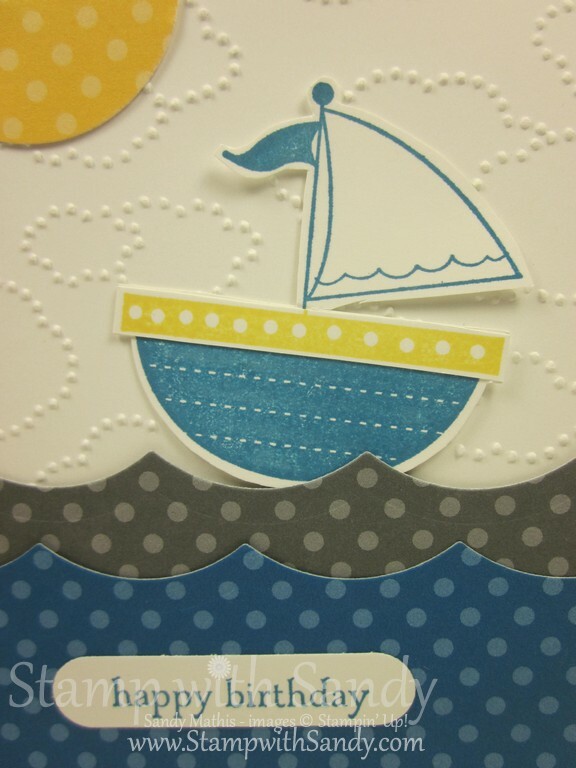 Don't you just love those cute embossed clouds in the background? 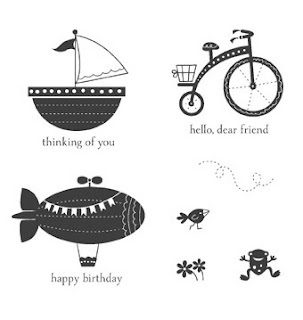 They were made using a new Embossing Folder from Stampin' Up called Cloudy Day. Except in my case it's a sunny day! With each purchase of the Moving Forward Stamp Set, Stampin' Up will donate $3 to Ronald MacDonald House Charities, which helps support families of children with serious illnesses. So cute! 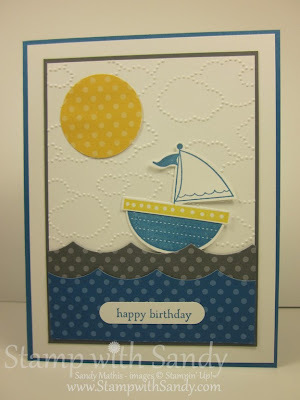 Just love the sailboat and how you did the ocean! Great embossed background, too! Love this....your little sailboat is a perfect choice for these colors! The polka-dot papers are perfect too! That little sun just makes me smile! Oh so cute, Sandy! What a perfect set for this challenge! I love the waves. What a great card! What a great card, Sandy! I'm sure your nephew will love it. I love all of the polka dots and your waves make for such a great scene.